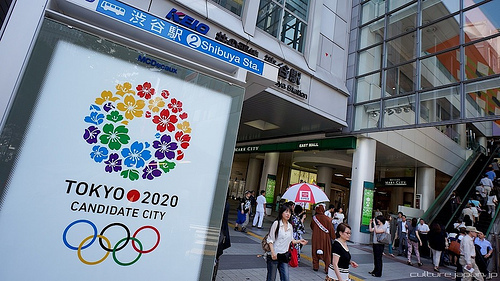 On 7 September 2013, Tokyo was awarded the 2020 Summer Olympics after the members of International Olympic Committee voted to select the host city from Tokyo, Madrid and Istanbul. As Tokyo celebrates its win, opinion leaders on Twitter are sharing their hopes for improvements in the city. Having common deadline and goal will unite and strengthen Japanese. I think that hosting Olympics/Paralympics in Tokyo will accelerate the recovery of disaster-stricken Tohoku regions, and various issues at hand will get better. At the same time, there are negative words and plenty of worrying matters, yet it's been decided. Let's together work to do our best. Social analytics show that online conversations on Olympics suddenly exploded among Japanese, while conversations on Paralympics also increased but were relatively smaller in number. Although it's smaller in number, people voiced their hope for a more accessible city resulting from Tokyo being named as 2020 Olympics/Paralympics host. A graph of tweets that include “バリアフリー” a Japanese word for “barrier-free” [universal design] from August 9th to September 8th. Online conversations that seek a more accessible, universally designed city increase as Tokyo is awarded 2020 Olympics host. I really wish that after seven years: every corner in Tokyo implements universal design [barrier-free, accessible for all people]; ubiquitous WiFi connection, and telegraph poles vanish; Tsukiji market [the biggest wholesale fish and seafood market in the world] is filled with smiles by foreigners visiting from around the world; Tokyo, Haneda and Narita airport become more accessible; hate speech vanishes; tsunami-stricken regions recover; the nuclear power plant accident is fully handled; and no nuke plant is online and we switch to renewable energy. By hosting the Olympics and Paralympics, I hope that the city and public transportation will improve accessibility of its facilities, towards universal design. My mom will be in her mid-eighties in 2020, so I sincerely hope that facilities are fully accessible for elderly with walking difficulty.